WILDERNESS COUNTRY CLUB at WILDERNESS Condos: C.15835 - You will be on top of the action in this spacious 1758sf 2bedroom 2bath condo overlooking the Wilderness #1 handicap hole 7th green. This condominium is offered Turnkey-furnished featuring an open floor plan, updated kitchen and bathrooms, spacious balcony, and a golf cart garage and included golf cart. Wilderness Country Club features a Championship Arthur Hills 18-Hole Golf Course, Full-service Clubhouse, Har-Tru Tennis Courts, Bocce, Croquet and five swimming pools. Private 300-member Golfing community with no cart fees. A Tropical Paradise in a Great Location conveniently located close to everything - Beaches, Shopping & Old Naples! Wilderness Golf Membership required currently $65,000 inition. Click on the Matterport Vtour link for an interactive walk thru. WILDERNESS COUNTRY CLUB at WILDERNESS Condos: This wont last! Wonderful two bedroom, two bath with a beautiful water view of the 7th hole at the Wilderness. Grab you clubs and move into this premier golf community where there are only 300 memberships. Golfing in season on this Arthur Hills course is a pleasure. The central location of the Wilderness makes access to popular places like Olde Naples, Waterside, Mercato and beaches easy. A $65,000 membership is required with purchase of the condominium. GLADES COUNTRY CLUB at GLADES Condos: E-Z-2-C!! Youll want to see this second floor end unit with 200SF screened balcony first! Updated kitchen, impact windows and sliders - ready for quick occupancy! The club offers bundled golf membership with two recently renovated courses - The Pines (Par 70) & the Palmetto (Par 55) Executive course - get unlimited golf & NO GREENS FEES. Golf privileges transfer to renters. Resort style living with newly remodeled clubhouse, 10 championship tennis courts, 9 pools with yoga & water aerobics classes, 4 Bocce ball courts, shuffleboard, 19th Hole private restaurant for dining with no food & beverage minimum, Pro Shop, shuffleboard & seasonal activities. Walking distance to shopping, movie theater, museum & restaurants. Truly a friendly community all within 10 minutes from the world-renowned white sugary beach on the Gulf of Mexico with epic sunsets. Enjoy world-class shopping, dining and fun nightlife in Olde Naples. Plenty of activities for everyone! Move in now for your own winter paradise or invest for income - its easy & affordable living at its finest! Call now! ASK ABOUT FINANCING--IT CAN BE DONE!!! WIGGINS PASS WEST Condos: West of 41. Great location!!! Grocery store,(Lucky"s), shops and restaurants within 5 minute walking distance. One bedroom studio with eat-in kitchen. Vaulted ceilings. Turnkey. Electric, water included in HOA fees. All you have to pay for is cable and internet. A great rental or vacation spot for not a lot of money. GLADES COUNTRY CLUB at GLADES Condos: Great investment fully rented with long term tenant that is paying $1200 until May 1 2019 and giving you return until you decide to retire and enjoy golf every day in this wonderful community !Fantastic location ,only five minutes to downtown Naples with all you can play Golf included in your maintenance charges !Top floor ,split bedrooms for all your family members ,golf buddies and friends.Once you buy it find out how easy you can adjust to your new lifestyle...Amenities include two golf courses, a par 70 and a par 55, nine pools, bocce and tennis courts, dining etc Beautifully decorated and painted, ceiling fans, new window installation and sliders that open to a screened-in private wrap-around lanai. The Lanai overlooks a gently flowing waterway and provides shade from the south and west facing view; All within three miles to the sugar sand beaches on the Gulf of Mexico, historic districts on 3rd Street S. and 5th Avenue S.
PAR ONE at GOLDEN GATE Condos: I-306 JUST STEPS TO THE ELEVATOR and PLENTY OF ROOM for everything in this very spacious one bedroom with large walk in closet and external storage area. Brand New Air Conditioner VERY CLOSE to pool and clubhouse. RELAX AND ENJOY the view of the public golf course from your private screened lanai. all this in this tranquil but fun and friendly 55+ community Surrounded by an 18 hole public golf course (only pay if you play) You"ll love living here full time or escaping the winter months up North. GLADES COUNTRY CLUB at GLADES Homes: Back on Market - Buyers financing fell through. Enjoy an active lifestyle of golf, tennis, bocce, pools and dining located within close proximity of downtown Naples and the most beautiful beaches! This two bedroom, two bath attached villa is waiting for you to make it your own. This property has newer AC, New Tile Roof, New Gutters and Impact resistant doors and windows. Priced to sell! Call for your private showing today! IMPERIAL WILDERNESS Homes: Welcome home. At last a great way to enjoy paradise at an affordable price. Check out this terrific home in a fabulous active 55+ community that allows you to own your land a unique situation bring a PET and your golf cart to enjoy and access the amenities. A casual atmosphere affords all residents a wonderful lifestyle. Imperial Wilderness is gated and conveniently located off US41 East Trail. Minutes from Collier Blvd with shopping banking restaurants Lowes Wal-Mart Publix Fresh Market. Marco Island and beautiful beaches minutes away. Clean and spacious 2 bedroom 2 bath home inside laundry room New air conditioner 2017Tip top shape maintained with care. Attractive new stamped concrete front for easy care room for two vehicles . Fun sun patio out back with nice lawn area with a garden patch ready. Talk about a social calendar and activities for all that take advantage of the clubhouse pools Jacuzzi s all weather tennis full kitchen dance hall with activity rooms activities and committies to participate with calendar of events to choose from. Shuffleboard Pickle ball too! KORWIN Condos: First floor end unit condo, 2 bedroom, 2 bathrooms that includes a nice large master bedroom. Private location with easy entry to community pool. Tile in living areas with carpet in bedrooms. Very nice layout with privacy from the other units. This unit would be great for an investor, as there is already a tenant in the unit through August of 2019. It would also be a very good purchase for future retirement, great pricing that will not last, and income coming in with the tenant until retirement. Great price, very nice condo. WILDERNESS COUNTRY CLUB at WILDERNESS Condos: Dont miss this incredible opportunity to own a first floor condominium at the Wilderness! Watch golfers tee off on the 18th hole as they make their way back to the clubhouse. At this AS IS price you can renovate and make it your dream retreat. This magnificent Arthur Hills course is limited to 300 memberships making access to the course during season exceptionally available. The central location of the Wilderness makes access to popular places like Olde Naples, Waterside, Mercado and the beaches easy. A purchase of a $65,000 Wilderness Country Club golf membership is required with purchase getting you into the Wilderness for $185,000. POINCIANA CONDO Condos: 2nd floor 2/1. tile throughout, updated kitchen and bath, impact windows,fresh paint.AS/IS SaleUse FAR/BAR AS/IS Contract.Seller will Finance with 10% Down.7% interest only for 1 year.Buyer pays closing cost and lender title. GLADES COUNTRY CLUB at GLADES Condos: JOURNEY"s END! Look no further! This first floor, 2 bedroom, 2 bath condo has an island kitchen, open living-dining concept, split bedrooms, master bedroom with ensuite and walk-in closet PLUS IMPACT RESISTANT WINDOWS, SLIDERS AND FRONT DOOR plus a NEW ROOF in 2018. Maintenance $611 per month. The Glades Country Club offers 2 golf courses, a Par 70 and Par 55, 9 resort-style pools, a restaurant with no food/beverage minimum and a clubhouse. Located within 3 miles to Olde Naples and the sugar sand beaches on the Gulf of Mexico, grocery stores Lucky"s Market and Publix, fine dining and first-class shopping districts. Not to forget the Costco and Trader Joe"s in Naples. Don"t wait for your piece of paradise! AMHERST COVE at ROYAL WOOD Condos: Royal Wood Golf Club-Lowest priced condo at this time! First floor 2 BD/2BA furnished condo overlooking creek and golf course. Large laundry room,screened lanai and split bedrooms. Needs updating, but priced for quick sale. New air and hot water heater. Complex has heated pool, spa, tennis, bocce and its own clubhouse right outside the door. Bike storage,car wash area and carport. Main Clubhouse and pro shop is a short bike ride. On site restaurant, library, fitness center, card room, putting green. Lots of social activities and golf tournaments throughout the year. 5th Ave. restaurants and the beach are short ride to town. GRANADA LAKES Condos: Attention All Investors AND Seasonal Visitors!! Opportunity awaits. Newly renovated, complete with an open concept upon entering this 1 bedroom 1 full bath,Plus living/family room condo in beautiful Granada Lakes. No more hotels, just kick back relax and enjoy the simplicity of life in Paradise. Plus All of the amenities Naples has to offer. Minutes to Downtown, I -75, shops, grocery stores and eateries. The large pool and club house is right across the street from this unit. Call today, get away from the freezing Northern Arctic temperatures. BRIAR LANDINGS at WILDWOOD LAKES Condos: You will love the updates in this beautiful condo...new flooring, crown molding, baseboards, chair rails, lighted tray ceilings & new paint throughout, built-in surround sound in Living/Dining, decorative niche in foyer. The remodeled bath features granite vanity top, newly tiled shower, wainscoting, built-in TV niche and lighted tray ceiling. This condo is literally steps from the pool/spa, community center and fitness room. Awesome location...close to downtown, beaches, shopping & dining.  Responsible, reliable tenants in place until August 1, 2019. As an added bonus...Seller is willing to transfer remaining rental income to new owner until expiration of tenant agreement. Awesome investment opportunity! GLADES COUNTRY CLUB at GLADES Condos: SELLER HIGHLY MOTIVATED!!!!!!!!! Must relocate. All new appliances, new flooring, new furniture, new beds, new AC unit, new washer and dryer, new water heater, and new granite countertops.Golfers paradise! Impact resistant windows and sliders.Amenities include 2 golf courses, 10 tennis courts, Bocce, 9 pools, water aerobics, library, restaurant (no minimum), clubhouse.All this within 2 miles of great beaches and 5th Ave. shopping! 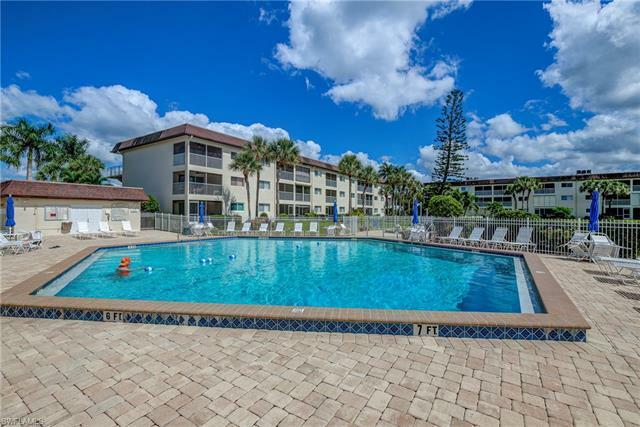 POINCIANA CONDO Condos: Investor special! First Floor 2 Bed 1 bath renovated condo at Poinciana Condos. Rented on an annual basis. GLADES COUNTRY CLUB at GLADES Condos: C.15677 2nd floor Golf pad. Dramatic east-facing view on Pines golf course with lakes. Impact glass sliders and windows. Private membership. Bundled golf with two newly reconstructed and just opened 18-hole golf courses. Par 70 and par 55. Walk both courses ! Enjoy resort-style amenities with clubhouse, 10 tennis courts,9 pools, bocce courts, shuffle board, pro shop and the private dining room at the 19th hole. Updated clubhouse. 3 miles to gulf beaches and Old Naples. AUGUSTA WOODS at LELY Condos: BEST BUY CONDO priced for quick sale. Located in the heart of Naples within 10 minutes to downtown Naples, 5th ave, the Naples Pier, restaurants and beautiful beaches. Affordable living in a quiet complex overlooking landscaped area. Low condo fees of only $1065 per quarter. Amenities including pool, bike storage, carport, extra storage, and BBQ grill. Long time tenant vacates by the end of April 2019. Showings limited between now and then. GULF WINDS EAST Condos: THIRD FLOOR WESTERN EXPOSURE OVERLOOKING A CRYSTAL BLUE LAKE AND RESORT-STYLE AMENITIES! Live in paradise for under $140K! Gulf Winds East is located off Manatee Road in East Naples less than 15 minutes to Marco Island and Downtown Old Naples. Convenient to awesome shopping, restaurants and entertainment, this community is a hidden gem. The unit features two bedrooms, two bathrooms, kitchen, living area and screen lanai. Furnishings are negotiable so you can move right in with no stress. It is perfect for seasonal living or year round pleasure. Sip a drink on your lanai as you enjoy the Florida breeze while catching the sunset every evening. Can you see it? The community has amazing amenities including a resort-style pool, spa and sundeck, walking paths, park areas for picnics, Chickee huts and more! This quaint and friendly community is an area favorite. Come check out the condo and stay for the lifestyle. VALLEY STREAM COURT Condos: Don"t miss this lovely updated and well kept unit in this 55 plus community (one of the buyers must be over 55). This 2nd floor end unit is ready to move in and make it your own. It has a lovely sitting area off the guest room which can give your guests an extra measure of privacy. Located close to the pool for your convenience. Relatively new AC and water heater (3 yrs.). Located close to everything Naples has to offer, including downtown, beaches, restaurants, shopping, etc. 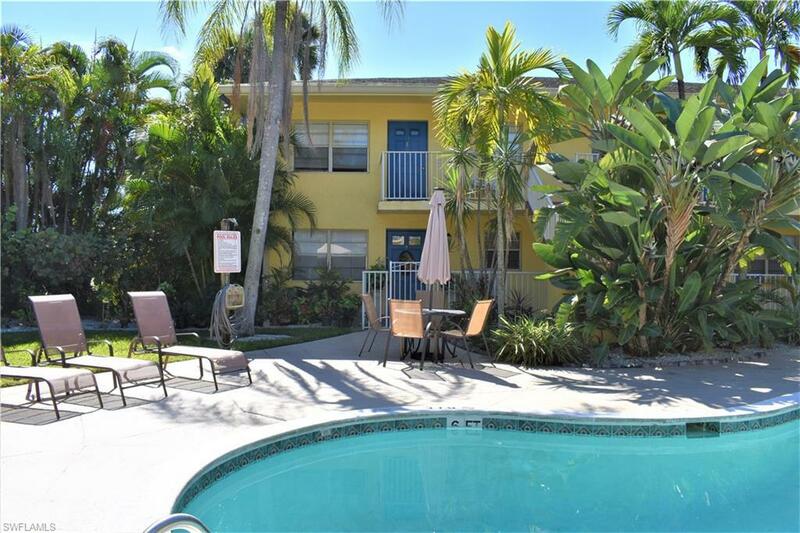 OASIS Condos: Rare one-bedroom plus den second-floor condominium ideally located near downtown Naples. South facing with a large screened lanai to enjoy the sun. Vaulted ceilings and open floor plan give this unit a great airy feel. Freshly painted throughout with new modern wood flooring installed. Stainless steel kitchen appliances and breakfast bar. Washer and dryer inside the unit. This a fantastic winter getaway, full time residence or rental opportunity. Community features pool, clubhouse, exercise room, tennis courts, and is pet friendly. Close to 5th Avenue dining, shopping, and the beaches. GLADES COUNTRY CLUB at GLADES Condos: Seller wiill pay Hurricane Irma Assessment. Well cared for Esplanade model in the Glades Golf & Country Club. This two bedroom, two bath features spacious living with 1,403 square feet of living space and a nice screened in lanai overlooking a quiet landscaped area. The Glades Golf & Country Club amenities include unlimited golf on two newly renovated golf course -- Pines (Par 70) and Palmetto (Par 55), 9 swimming pools, tennis courts, 19th Hole Restaurant, Pro shop, and Clubhouse with many activities throughout the Season. Coming soon Pickleball! All of this is located just 10 minutes away for beautiful Historic Naples shops and restaurants and white sand beaches. This is a great price for a piece of Winter paradise in Naples, FL. AUGUSTA WOODS at LELY Condos: Perfect 2nd floor one bedroom, 1 1/2 bath Florida retreat in great condition offered TURNKEY/FURNISHED features a spacious 865 square feet under air which is larger than the two bedroom units in the community, a generous living room and dining area, kitchen with a pass-thru, newer refrigerator, new garbage disposal, new dishwasher, large pantry with lots of shelving, powder room with new toilet and valves, a comfortable bedroom with walk-in closet and extra shelving, new ceiling fan, en suite bath with new toilet and valves, new shower doors and grab bars, laundry closet with washer and dryer, extra storage and beautiful golf course views from the living room, bedroom and cozy lanai, just steps the community pool! Augusta Woods is a pet free community offering reasonable condo association fees and is in a terrific location just six miles to Downtown Naples and our award winning beaches, surrounded by shopping and dining! LAKEWOOD Condos: Renovated and ready for new owner. Lakewood is a perfect location downtown with shopping and beaches just a short drive away. Recent renovations include paint, tile floors, cabinets & vanities. Air conditioner also recently replaced. This should be maintenance free living for years. Wonderful view of golf course and grounds. Quiet Lanai with storm shutters for keeping your patio furniture clean in the off season. Well managed community with reasonable fees and reserves. Amenities like pool and tennis and plenty of guest parking for visitors. Private individual Laundry in its own room just outside of the unit and extra storage in building. BRIAR LANDINGS at THE ENCLAVE OF NAPLES Condos: Wonderful opportunity to own your paradise retreat! End unit with spectacular water views and privacy gives you a sense of all that Naples has to offer - Whether you are a first time buyer, snowbird or investor, this cozy homey condo is for you. You will enjoy the location to fabulous dining, shopping, Marco Island and, of course, downtown Naples and our Lush Sandy Beaches! Upgraded carpet, lighting and newly updated bath and more. Briar Landings offers tennis courts, play area, huge pool with lounge chairs with low condo fees. FAIRWAYS AT PAR FOUR at GOLDEN GATE Condos: Attention Snowbirds or Investors. Terrific 2 bedroom, 2 full bath home could be your dream home! This is a 55 + community with tons of amenities! Community offers shuffleboard, bocce ball, tennis, pickleball and a community heated pool! Not to mention a public golf course right in your back yard! Great Little Winter Escape!  Can"t beat the price or the HOA Fees! It Won"t LAST make an appointment today, Priced to Sell! HIGH POINT COUNTRY CLUB at HIGH POINT Condos: INVESTORS: RENTALS are allowed up to 6 times a yr for 30 day Minimum. Updated CLEAN CLEAN CLEAN and super cute 1 Bedroom, top floor approx 1.3 miles to the Beach with free golf and 6 pools. Tastefully updated with newer white cabinets and white sink countertop, updated white bathroom with 36 vanity. Living room sliding doors open to a screened lanai with a 2nd set of sliding doors giving a florida room experience. Owners enjoy unlimited golf on the 9 hole, par 3 course, use of 6 pools, clubhouse, fitness, tennis, pickelball, bocce, social calendar, even a library. So affordable, so fun and so close to the Beach. Quarterly condo fee includes wifi and cable too.